Panera Bread and Chipotle are two of the most popular restaurants around, and while their menus aren't really all that similar, the two are often compared with each other. Let's take a look at their key characteristics. 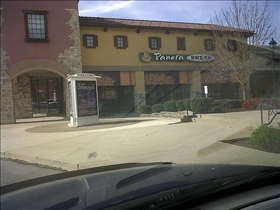 Panera Bread is a bakery/café chain that is also known as Paradise Bakery & Café, and St. Louis Bread Company in St. Louis. The company is based in Phoenix, and it has more than 70 branches all over the country and in Canada. Panera Bread bills itself as a "quick casual" restaurant, and it offers a variety of catering services as well. 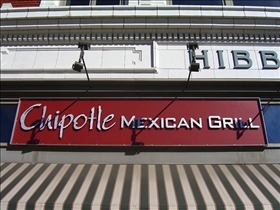 Chipotle or Chipotle Mexican Grill, Inc., is a chain of restaurants that specialize in Mexican and Mexican-inspired food, mostly burritos and tacos. With numerous branches in the United States and in Canada, Chipotle was founded in 1993 by Steve Ells. The name of the chain comes from the distinctive Chipotle chili pepper, which is typically smoked and dried. Panera Bread prides itself on serving what it calls "healthy fast food", and this is apparent in its selection of breads, sandwiches, salads, and a host of other bakery goods. Panera Bread also brews its own iced tea. Chipotle on the other hand has made its mark with its huge burritos, which are put together via an assembly line production. The restaurant chain also prides itself on its use of only natural ingredients, a policy that is reflected in the company’s mission statement called “Food with Integrity”. This policy highlights the company’s focus on providing quality food using only organic ingredients, and Chipotle is in fact one of the biggest providers of naturally raised meat in the restaurant business. Chipotle is also one of the first fast casual dining chains in the industry. Panera Bread started out as the Saint Louis Bread Company, which was subsequently bought out by Au Bon Pain Co. in 1993. During this period, the St. Louis Bread Company had about 20 bakery-cafés in St. Louis area, all of which were undergoing extensive renovation. By May 1999, Au Bon Pain Co. sold off many of its chains, in order to expand Panera Bread into the national scene. The company then was renamed Panera Bread. At present, there are nearly 1,400 Panera Bread outlets in 40 states all over the country. Fresh dough is delivered to these bakery-cafés daily by 17 suppliers. In St. Louis alone, where Panera Bread headquarters are located (and still named St. Louis Bread Company, interestingly enough), there are no less than 50 Panera Bread branches in existence. Chipotle currently has over 1,000 branches, with outlets in 37 states in the United States, District of Columbia, Canada, and London. The company has more than 25,000 employees and its 2009 income was measured at US$126 million. Serves what it calls "healthy fast food"
I love this comparison,for a while I thought I was the only one to compare these two.For my taste though Panera bread takes the cake.The chilled and relaxed vibe is so calming and inviting everytime I go. Ruby Tuesday vs. TGI Fridays: Whose hungry? Dasani vs. Aquafina: Coke Water or Pepsi Water?